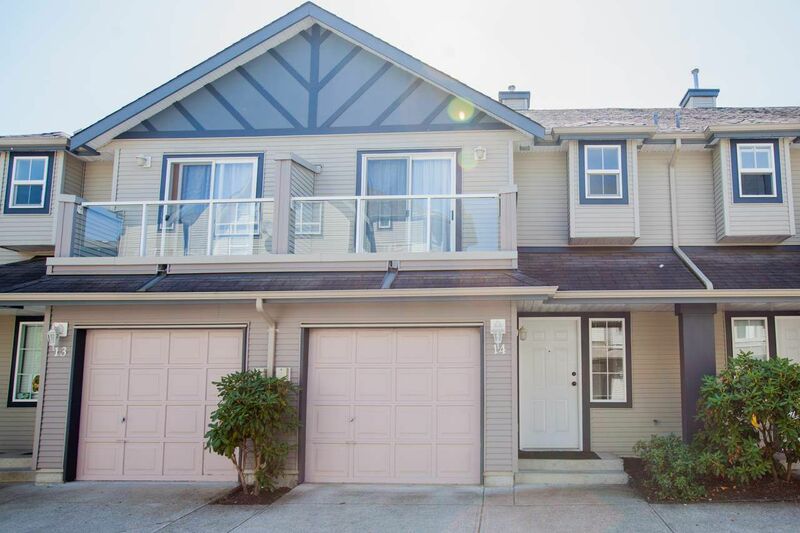 Duplex style living at Foxfield-Beautiful 3 bed 3 bath townhouse with a very quiet backyard! Main floor features a perfect kitchen with s/s appliances. Off the kitchen is a spacious living room with a gas fireplace. Off the living room is the dining room and a balcony with lots of privacy. Gas forced air heating on the main and electric baseboard heating on the upper floor. Upstairs features the 3 bedrooms and 2 full bathrooms. Off the master bedroom features a great little balcony! Basement features a storage room and utility room. Great covered patio out your basement entry! Terrific location close to all types of schools, recreation, transit, WC Express and much more!